Chill martini glass in freezer for a few minutes. Remove glass from freezer, moisten rim and dip rim in coarse salt. 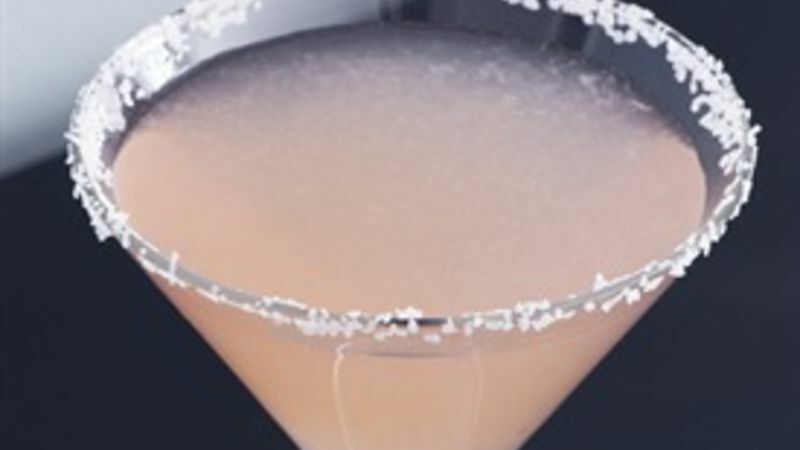 Add ice to cocktail shaker, shake ingredients with ice and strain into a martini glass.